Time again for some peat driven goodness and this time we turn to Wemyss. This is their new take on an old classic. 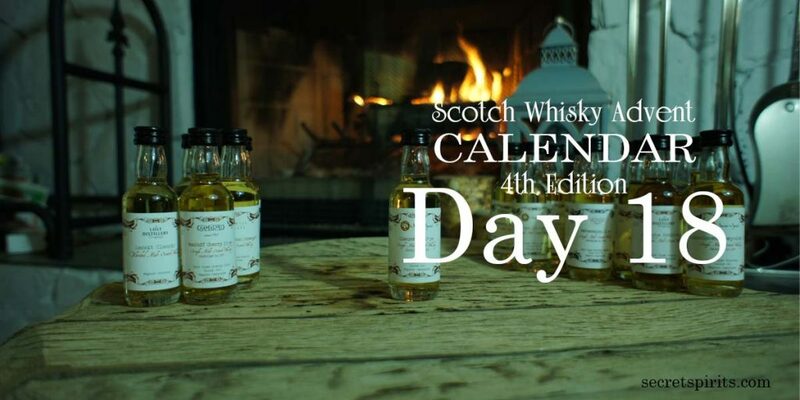 Peat Chimney first made its debut in the 1st edition calendar way back in 2014. Worth another read. After our taste of the Spice King Batch Strength and The Hive Batch Strength I’m excited about finishing the set with the Peat Chimney. Wemyss Malts Peat Chimney Batch Strength Blended Malt – 57% ABV aged in a combination of Bourbon and Sherry casks. Colour: A blush of reddish hue tilting its hat at the sherry cask influence. Nose: Malt vinegar and sea salt kettle chips. If this was a real chip flavor I would be packing on the calories while watching my favorite Star Wars movie. Palate: Smoke in abundance with toffee apple. Finish: Does not feel 57% at all to my palate. Lingering on with the apple character continuing to ride along with the smoke and still just a hint of salty snacks hanging around. 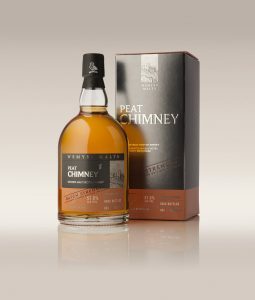 This is the best expression of Peat Chimney by Wemyss Malts yet. The higher strength accentuates the flavors and gives everyone room to maneuver with water or ice or whatever takes your fancy. 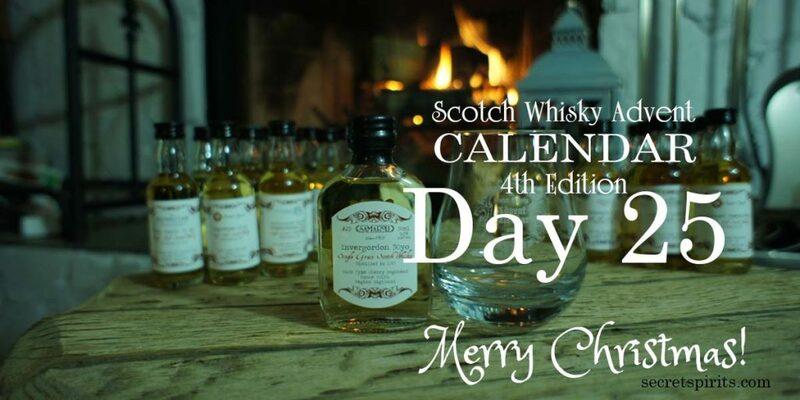 Day 15 in the 3rd edition was the Malt Whisky Company MacDuff 16 Year Old. 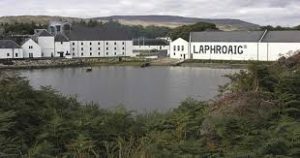 Refresh your memory or try to find a 3rd edition to experience Stuart’s take on an excellent distillery. Head on over to Scotch Trooper today for some more Star Wars meets whisky fun. Inspired by Scotch Trooper and with the new Star Wars movie coming out today, I took a quick shot with my phone on our fireplace chimney. No doubt with awesome lighting and a steady hand this could have been a cool photo. I think I’ll leave it to the pro though. Tomorrow we are heading back to the guys at the Lost Distillery Company for a very intriguing dram. Then we start moving into some heavy hitters for the last 9 days. Hold onto your glassware people some serious whisky is on its way. Oh the joy of a new distillery in the mix. 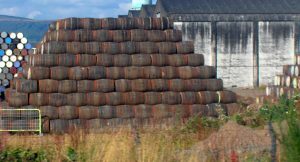 I absolutely lean towards not only amazing casks but also adding a new distillery to the list. 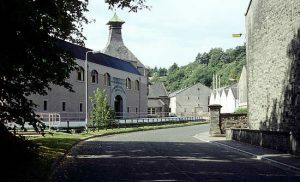 Glen Elgin is a distillery in Speyside that was founded in 1898 and was the last distillery built during the boom of the 1890’s. The bulk of its production goes into the White Horse Blend. 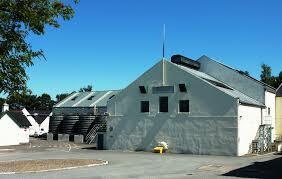 Now owned by industry giant Diageo it has had a very interesting past. 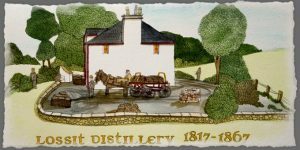 Today’s look at the Glen Elgin distillery is courtesy of our friends at A.D. Rattray. A.D. Rattray Glen Elgin 21 Year Old Single Malt – Aged in a Bourbon cask numbered 3203. Cask Strength ABV of 52.9%. Distilled in 1995. Nose: Shortbread Cookie Dough with a cris crossed lace of vanilla icing. Palate: A rum-esque hit to the tongue shows that there is sweetness here. Rolls into a spicy candied ginger and nutmeg combination. Truly complex. Finish: Even some pepper notes here on the finish to go with the spicy ginger. Really zings off the buds. This is a really interesting dram and has a huge amount going on. Loving this first even Glen Elgin expression in one of our calendars and will be looking for something from this distillery again for sure. 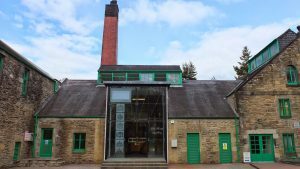 There are so many distilleries in Scotland and it’s my goal to eventually get as many of them as I can into our calendar for all of you to enjoy. 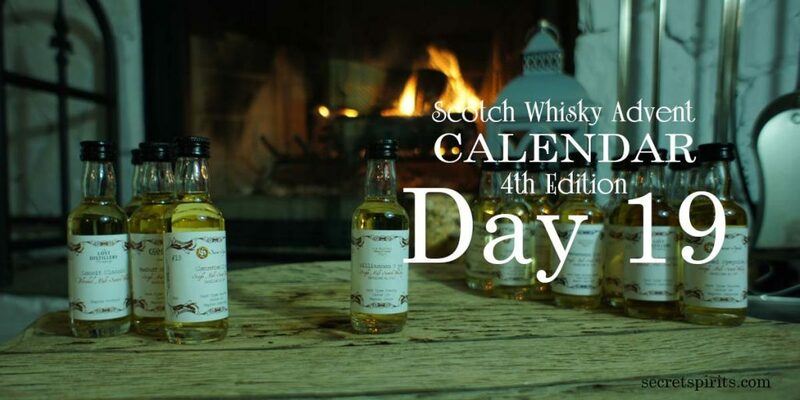 In the 3rd edition on day 14 we had the Ainneamh 18 Year Old Speyside Single Malt. Make sure you head over to Scotch Trooper again today and if you have not got your tickets booked for the launch of the new Star Wars movie tomorrow in Canada and everywhere else then get on it. 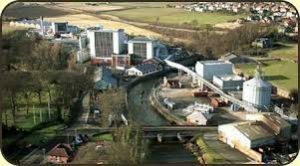 Tomorrow we are heading to back to Wemyss Malts for another full strength version of a classic Wemyss whisky. Be sure to join in tomorrow and for those getting their Star Wars geek on “May the Force be with you. 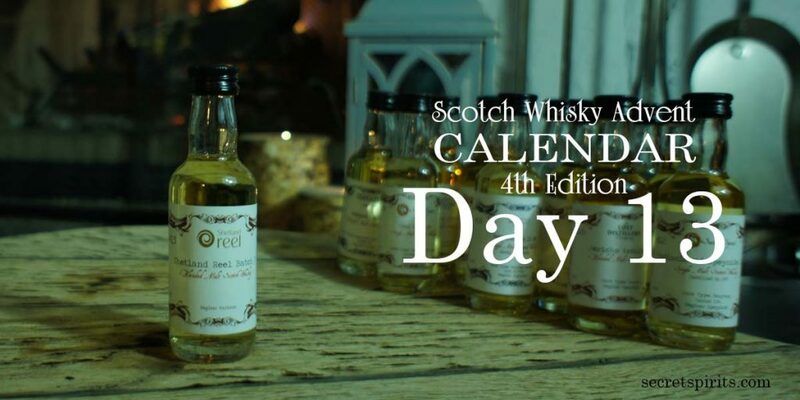 Some of you will remember the Batch # 1 Shetland Reel from the 3rd edition calendar. It was a superbly put together blended malt by industry legend Stuart Nickerson. I just had to check out this years limited edition batch and see what he had in store for us. 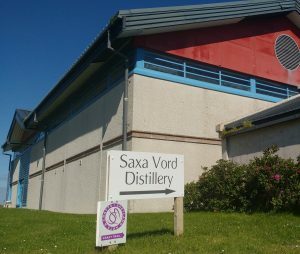 Carefully chosen from distilleries all over the mainland the casks are shipped up to Unst in the northernmost island in the Shetland chain. 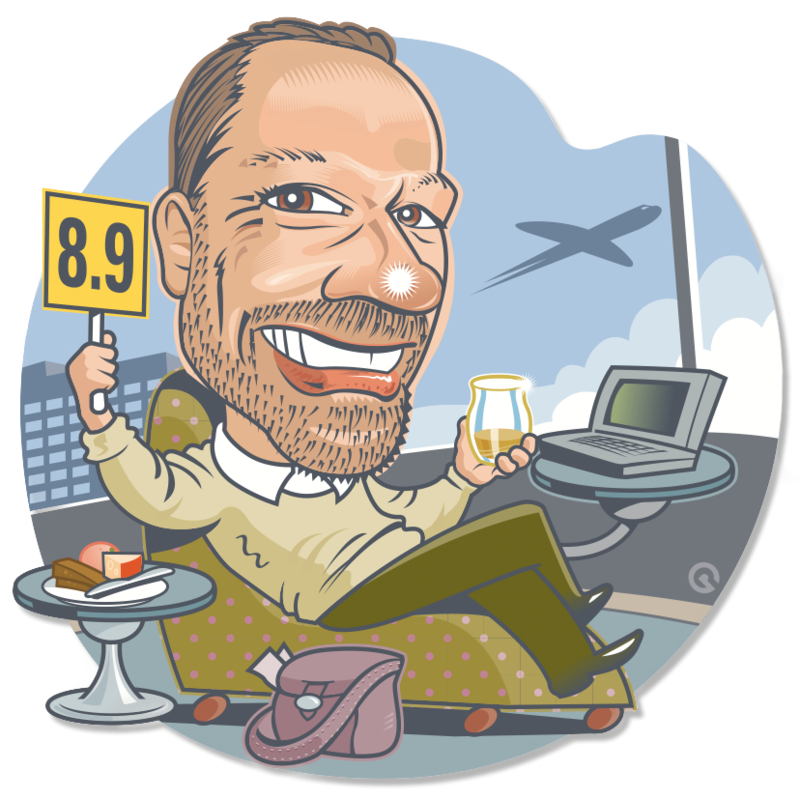 There Stuart creates a unique combination of Single Malts and ages them together for another year before release. Stuart tells me that this batch has single malt from Islay, Speyside and the Highlands. Nose: Salty and sweet like salted caramel squares. 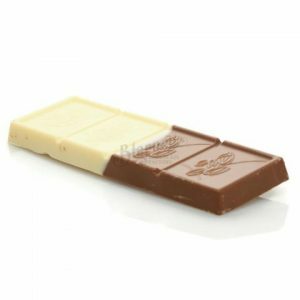 Palate: The salty caramel continues on with smoky undertones and hints of earthy rubber. Finish: The peat base slowly asserts itself and my guess would be that Stuart included a fair amount of Islay in this combo. The sweetness of the salted caramel is more of a memory now but the briny hints remain. Feels bigger than 46% and really packs a punch. This is the boldest Shetland Reel batch yet. Absolutely love good blended malt and would highly recommend that everyone try as many as they can get their lips on. On day 13 in the 3rd edition we had the A.D. Rattray Auchroisk 25 Year Old. 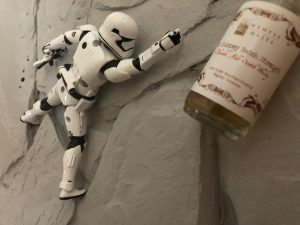 Lets check out what Scotch Trooper is up to today. 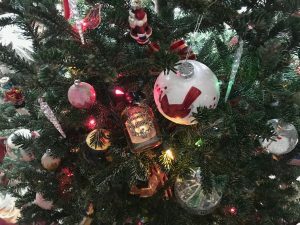 I hope you checked out his Christmas Tree yesterday. I personally think he is having way too much fun. 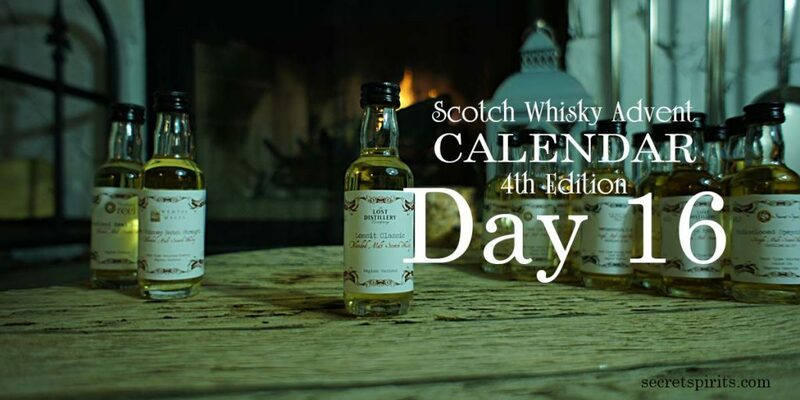 Tomorrow we are getting our older whisky geek going with an offering from A.D. Rattray with another distillery making it’s debut in any edition. I look forward to your company tomorrow until then enjoy family and friends and all the amazing opportunities and blessings that you have.